Most people think of the thyroid gland as being sluggish (hypothyroidism) if their dog gains weight too easily, is lethargic or their coat starts to look sparse or dry. While the thyroid gland does produce hormones that regulate a body’s metabolic rate, we often see the full range and power of those hormones in client’s dogs with an array of symptoms that aren’t always thought of as being related to hypothyroidism. 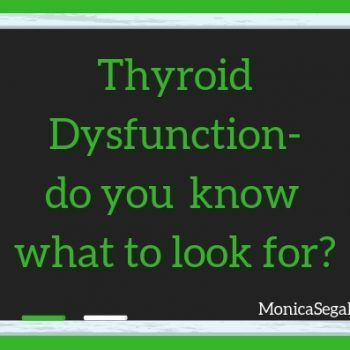 can all be linked to thyroid dysfunction. The most common blood test we see for thyroid is T4. 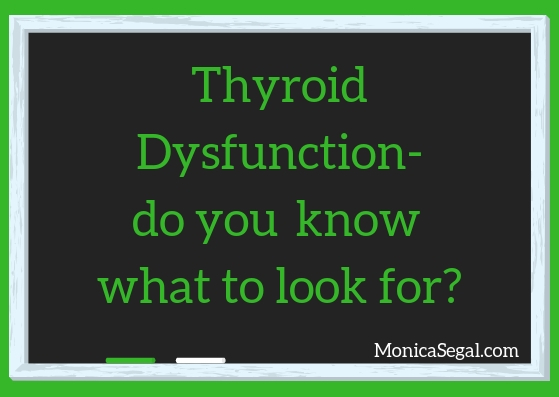 The hiccup is that T4 may be in the normal range, yet the dog can be hypothyroid. In many of these cases another test for thyroid stimulating hormone (TSH) will show an elevation. Why? The thyroid gland is under the control of the pituitary gland which produces TSH (thyroid stimulating hormone) and it’s under the influence of TSH that the thyroid gland will produce T3 and T4. So, a blood test result showing normal T4 doesn’t tell us that the thyroid itself is healthy and working normally. It just means it’s responding to TSH. An elevation in TSH is what would prompt further investigation, often through a free T4 concentration measured by equilibrium dialysis. A definitive diagnosis of hypothyroidism isn’t always simple to get, but very much worth the effort. Many times, by the time a client books with us, they’ve seen vets, specialists and have done a lot of tests. When we suggest a full thyroid panel it can be an additional financial stress, but distinguishing between reactions due to an underlying thyroid problem and a food allergy or sensitivity makes successful outcomes more likely.